There is nothing quite as exciting as anticipating stepping through the doors of your very own home. Perhaps you have worked long and hard to save what you consider to be a respectable down payment on a home and are finally ready to take that step. 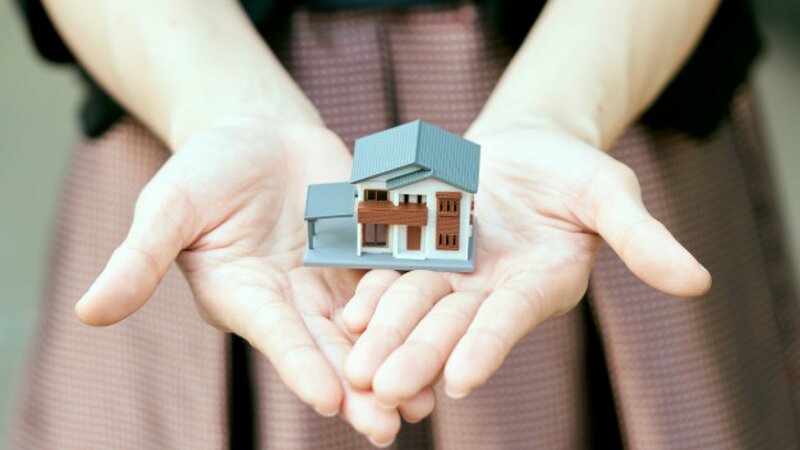 However, as you have never before owned your own home, you might not know that there are some things you need to look into before getting a home loan. Unless you are prepared to pay cash outright for that home (did you win the lottery?) you will almost always need to borrow money. Here is a brief first-time buyer’s guide to home loans. 1. Are You Eligible for a Home Loan? Even if you think you have a decent credit score and are making enough money to qualify for a home loan, each lender has different criteria and you may not be eligible for the home loan you had been counting on. Before even contacting any lenders, crunch the figures on the available online home loan calculators. These will quickly give you a good idea as to whether or not you will be approved when you finally apply. Even those who have previously had a home loan understand that the lending market is as complex as it is varied. Different lenders will offer different rates and so you need to understand what you will be getting yourself into for the next 20 or 30 years. Not only will you need to research various lenders, but this is the time to learn the differences between such things as variable and fixed rate home loans as well as those that have interest only periods. The type of loan that matches your specific needs is a critical part of the buying process. 3. Is Your Deposit Sufficient? What you considered to be a sufficient amount to save for a deposit may not be enough at all! Here again, lenders vary, and if the lender with the best rates and terms you are interested in demands a higher deposit, you might not have sufficient funds to get that loan. Here you have two choices; either continue saving or check out other lenders with rates and features you can live with. Also, it is imperative that you get control of your debt before applying for a home loan. Just because you have a sufficient credit score and history, doesn’t mean that you can show enough income on the books to add more debt on top of that which you are already repaying. Pay off as much as possible before seeking a home loan and your chances will be greater. In other words, be realistic about your ability to repay a home loan because that is what lenders will also be looking at. First-time home buyers may not be aware of the associated costs when buying a home. Not only are there stamp duty fees but also you may need to hire a removal company to move your furniture and personal belongings into your new home once the deal is closed. Other costs might be any renovations or repairs you need to make to a home if it was previously owned and lived in. This is where an understanding of caveat emptor comes into play. Always ensure that the home you are interested in is fully vetted and inspected. “Buyer’s beware!” can also apply to new homes if you don’t research the builder and the neighbourhood well before signing on the dotted line. Since there is so much to be considered when buying a home and seeking out the right home loan, many financial advisers suggest that you hire a well-qualified buyer’s agent. Working with a real estate professional helps you find the right home at the right cost while also helping to ensure that you get the home loan you need under terms that make sense within your financial ability to repay. This is a big step in your life and probably the biggest investment you’ll ever make. Take the time to make sound decisions now and you can rest assured that you will be enjoying that ‘new’ home for many years to come. Author’s Bio – Alex Morrison has been an SEO Expert for over 10 years. In this time he has worked with a range of businesses giving him an in depth understanding of many different industries including home improvement, financial support and health care. As the owner of Integral Media he is now utilising his knowledge and experience with his rapidly increasing client portfolio to help them achieve their business goals.